INTRODUCTION: PAMS AutoGC systems collect hourly speciated VOC data which is used for developing air quality models as well as determining compliance with National Air Quality Standards. This data is significant because it is used over decades to compare air quality across regions as well as time. It is important that the data be collected and validated with care. AutoGC systems collect 59 VOC target species hourly and thus will generate a large amount of data. These systems have been in use for over 20 years and have proven to be able to generate consistent and reproducible data. By using frequent Quality Control checks and a good system for the generation of control charts, operators and validators may review data as it is generated and thus keep the system performance optimized and thus generate easily validated data. Visit us in Booth #15 to speak directly with the industry leader in PAMS AutoGC deployment, training, and operation. Carol Meyer has been actively involved with PAMS monitoring since the initial 1993 Coastal Ozone Assessment for Southeastern Texas (COAST) study. Orsat, LLC has provided ambient monitoring services to both state and industry, and currently operates 25 PAMS AutoGC monitoring sites in Texas for the TCEQ, UT CEER and AECOM. Using both the PerkinElmer Ozone Precursor system and the Agilent GC System with a Markes Unity 2 thermal desorber, Orsat has developed a fully automated application for the continuous monitoring of 56 NMHCs hourly. Orsat has customized the installation of hardware and software to produce lab quality results in a robust field application for the continuous and unattended measurement of VOCs in ambient air via PAMS AutoGC systems. Over the past three decades, Orsat has deployed over 40 sites and currently maintains over 35 sites in the state of Texas for both public and private industry. The end user is provided with certification data detailing the individual system performance at the time of start-up including background, detection limits, precision and linearity. Once configured, data recoveries are routinely 90–95%. The upcoming NAAQS deadline in June has everyone rolling up their sleeves to get all the new systems up and running. Orsat AutoGC systems are currently monitoring 56 non-methane hydrocarbons (NMHCs) 24 hours a day seven days a week at over 35 sites nationally. All that raw data is ideal for modeling, but difficult to handle when precision and accuracy are paramount, but 25 years of experience have endowed Orsat with special expertise: Orsat has been involved with continuous unattended ambient air VOC monitoring since its earliest implementation in the State of Texas Coastal Oxidant Assessment for Southeast Texas (COAST) program in 1994. Today, Orsat’s services encompass all aspects of site operation from deployment to operator training and application assistance in topics ranging from Microsoft Windows operation to gas chromatographic theory. So look no further if you have any questions about your Markes/Agilent or PerkinElmer PAMS AutoGC site. 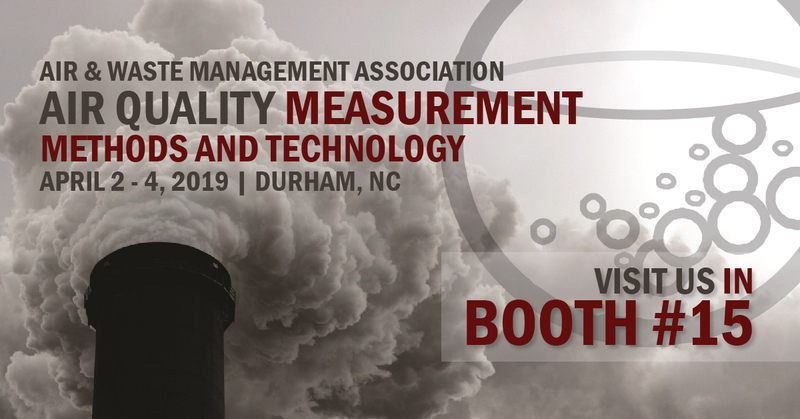 About the A&WMA Measurement Methods and Technology Conference Explore advances in measurement technology, data quality assurance, and data uses at the Air & Waste Management Association’s Air Quality Measurement Methods and Technology conference to be held April 2–4, 2019 in Durham, North Carolina. Academia, consultants, industry, government, and manufacturers won’t want to miss the chance to hear the latest information on available technology, including new monitoring networks and regulations from industry and government experts. Air quality issues related to greenhouse gas measurements, ambient monitoring, fugitive and area source air measurements, indoor air, quality assurance, and data uses in order to improve models, emission inventories and policy decisions will also be addressed.